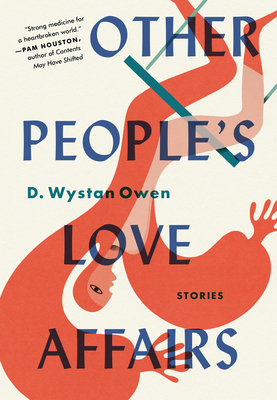 D. Wystan Owen discusses his new story collection, Other People's Love Affairs with Chia-Chia Lin. In the ten luminous stories of D. Wystan Owen's debut collection, the people of Glass, a picturesque village on the rugged English coast, are haunted by longings and deeply held secrets, captive to pasts that remain as alive as the present. Each story takes us into the lives of characters reaching earnestly and often courageously for connection to the people they have loved. Owen observes their heartbreaks, their small triumphs, and their generous capacity for grace.